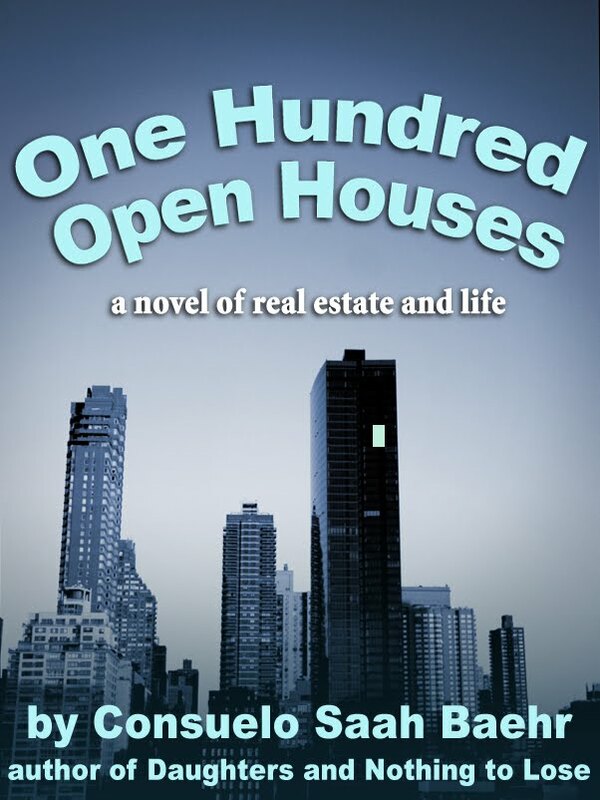 The repurposed writer: #SampleSunday: Excerpt from "One Hundred Open Houses"
#SampleSunday: Excerpt from "One Hundred Open Houses"
This is the second snowfall in less than a week. I have to shovel the walk so the mailwoman doesn’t leave me a note that says. You have to shovel the walk or no mail. And then another note: Not shoveled enough. Make it wider. We used to consider the postman as a serious person who had some standing with the government. I’ve seen my mailwoman sitting on the curb eating a sandwich. Sometimes, I don’t get mail for days and often, it’s for other people - same number, different street. The bookkeeper says they lost her mail for months and her truck was going to be repossessed because none of the payments got there. This morning, I’m making coffee and I hear a lot of noise at my door and I go out and it’s a kid in a ski parka stuffing mail into my box at 8 in the morning. I figure this kid has had my mis-delivered mail under his bed for a few days and his mother finally said, “Jason, you’d better deliver that mail.” There’s a sixty-five dollar rebate from my insurance company because they are experiencing larger than expected profits. “That’s why I want you,” he answered. Louise’s fantastic news is about people who are already dead and she hasn’t seen for ten years. 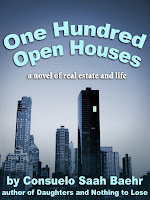 It seems her friend Libby’s husband Frank (who had made millions) left Libby for a younger woman and when the kids refused to speak to him, changed his will and left everything to the new wife. Frank has a heart attack and the trophy wife of two years gets all the millions. The old wife dies soon after. The kids are orphans and poor and the new millionaire wife is loaded. Ok. That is fantastic! Louise’s stories make me wonder how my life would sound in ten sentences or less. When you depersonalize, the facts smack you. I’m five foot three with short curly hair made a nice chestnut brown by L’Oreal’s Chestnut Brown. My face looks okay in the mirror but when I see it in photographs it looks like no one I know. And also someone who isn’t that smart. My eyes look big but in a startled way and my former lovely petite nose has broadened a little. There’s too much face (which could be taken care of by shedding some pounds). My lips are good, still smooth, My chest and neck don’t have any wrinkles and those lines that slant from the outer corners of your lips to your chin (plastic surgeons call them marionette lines just in case you didn’t feel like Howdy Doody.) can still be erased with concealer. I have two worry wrinkles between my brows. For unknown reasons, I don’t have any other wrinkles. I used to think it was my olive complexion that saved me, but my mother has very white opaque skin and she doesn’t have any wrinkles either. My looks are always changing. At times I think I look very pretty in a romantic way, like a heroine. It’s possible. When I get to my desk I realize that I have to start cold calling every corporation in America and ask them if they want to shell out $100,000 to have their banner hung in a tent for several days. I start with the big communications conglomerates. After two hours of cold calls and many messages left on voicemails, I take a breather and peruse my stock portfolio and read the stock message boards. I came upon WENG by chance on the KMGI message board and I have made a little money. I haven’t taken a profit because I don’t know how to take a profit. I only know how to watch things that were once up go down in a scary way. All I know about WENG is that it offers storage. (not like a locker at the train station) the kind of storage that is needed now on the Internet. No, I don’t know what I’m talking about. My investment style is casual and has resulted in medium-size wins and some painful losses. One of the things I’ve learned through the years is that you’re either imitating your mother or your father. After he retired, my father used to sit in his broker’s office and watch the ticker tape. He had stocks and bonds and never sold any of them. He died a wealthy man. I’m definitely not imitating my father. I put in a buy order for 5,000 shares of WENG at $1.25 and log off. I’m smart enough to know that I am playing against the “big boys” whoever they are. I do know George Soros is a “big boy.” George Soros “broke the bank of England” in 1992 when he bet massively against the English pound and ended up making one billion, that’s b as in billion, on what is now known in England as “Black Wednesday” and what is known in George Soros’ house as Awesome Wednesday. Currency trading and fooling around with futures (except my own) is beyond my comfort level. I pick up the phone again and call Nextel to ask someone in charge if they would like to sponsor the most respected film festival on the East Coast. An operator who probably just started and still has some enthusiasm for the job actually gives me the person I need. It’s a woman and she says, “Yes, we’re interested. I’m glad you called.” After I pick myself up off the floor, I begin my spiel. “Your brand at a respected cultural event in one of the world’s most desirable destinations. I don’t have to tell you that visibility in the Hamptons is over the top. 18,000 pairs of eyes with a Hamptons income fixated on your brand. We’ll give you saturation visibility. Saturation from Montauk to Quogue! It’s ironic. I am the least likely person to talk about all this materialistic stuff. I cannot buy things comfortably. I can give money away and I can certainly lose money trading stocks, but I find it difficult to go into a store and look around and then buy something. I’m likely to return most things. I promise the Nextel woman to send her a proposal immediately by e-mail. For the next two hours, I prepare a detailed and persuasive document to convince this phone giant that if they do exactly as I say, they will be astounded and amazed. I feel so elated that I’ve actually interested a possible sponsor; I decide to do something that God would like and call my mother who is in a nursing home in Manhattan. I have heard this story before and decide to try another tactic. It’s her lunchtime. “How is the lunch?” I ask. “You must feel very frustrated,” I offer. “Yes. Frustrated.” She’s satisfied that I have found a word for her that expresses her feelings. Even though she still recognizes me and seems happy to see me, we rarely talk about our shared past. The visit is taken up by her latest campaign - they’ve sold her floor and they’re going to move her out. Or, they won’t put the lights on and everyone is up in arms. Suppose she’s right? Suppose they have sold her floor and the minute the visitors leave, the staff, for amusement, turns off all the lights and the old and infirm are left to fend for themselves in the dark? I plan to read this. Love the excerpt. "How bad is that?" The fragility of reputation.